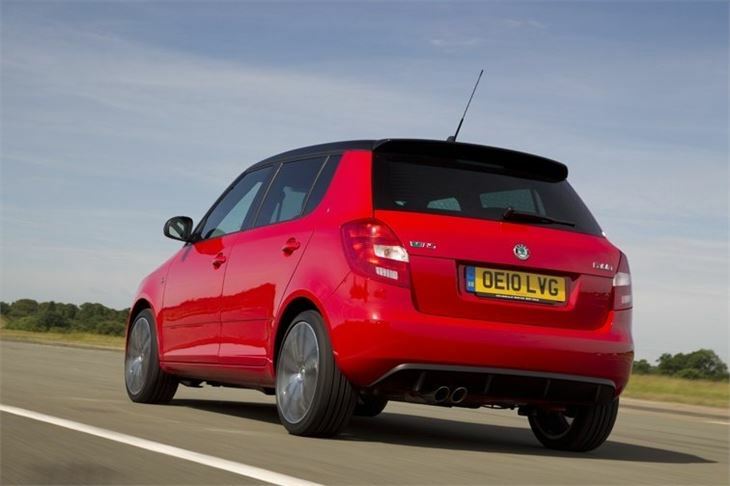 Great performance from buzzy 1.4 TSI engine. Very precise in corners. Firm but forgiving ride. Nicely weighted steering. Impressively economical. Not available with a manual gearbox. Interior nothing special. Dropped from range late 2013 due to severe oil consumption problems. Many engines have had to be replaced. Brilliant technology that didn't work. 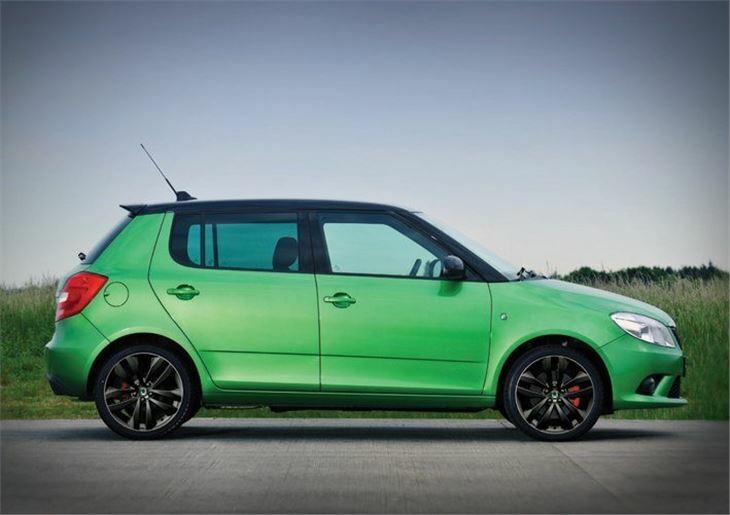 It was a long time coming - the standard Skoda Fabia was launched in 2007 - but after quite a wait, in 2010 the eagerly anticipated Skoda Fabia vRS was finally launched. 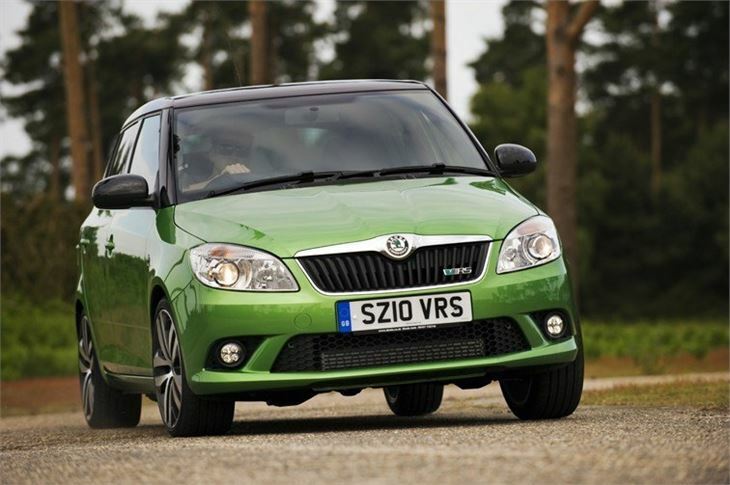 The big news is that unlike the old Fabia vRS, this version doesn't use a diesel engine, something which made its predecessor unique. 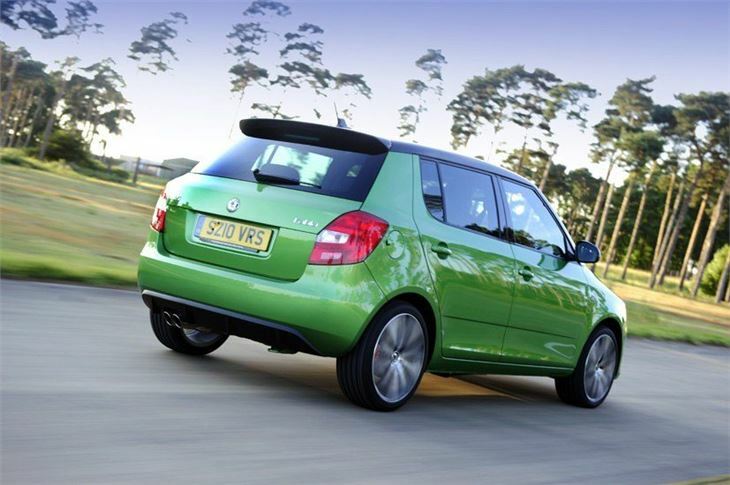 Instead it's powered by a 1.4-litre petrol engine. 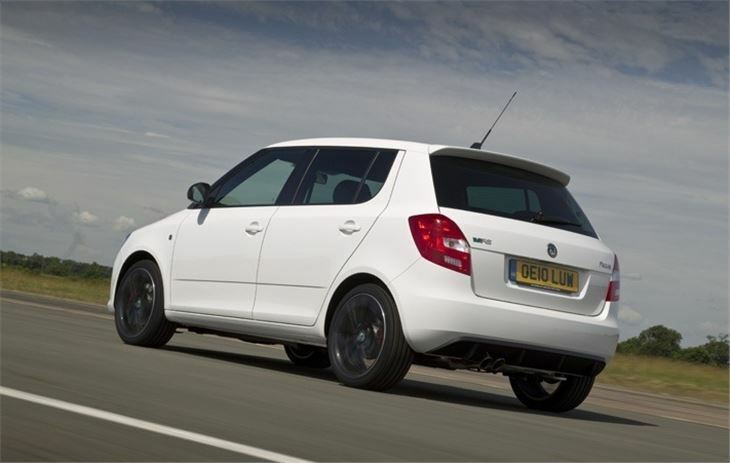 This may sound far too small for what's supposed to be a 'hot hatch' but thanks to both a turbocharger and supercharger, it offers an impressive 180PS and 250Nm torque. 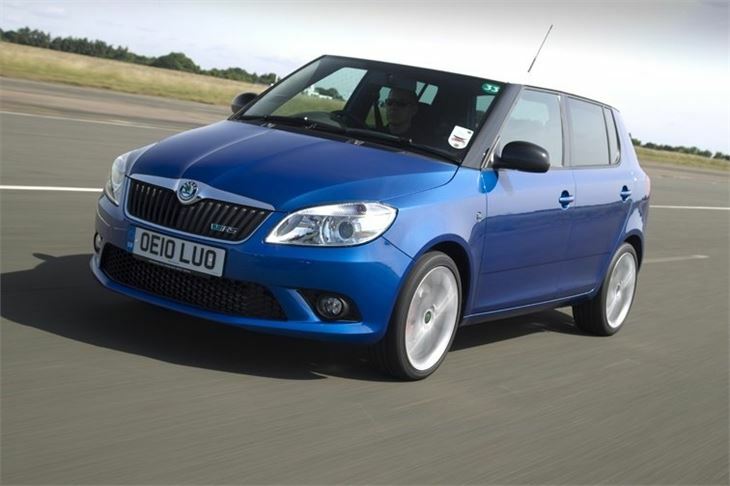 This is the same engine that's used in the SEAT Ibiza Cupra and it gives the Fabia vRS a rapid 0-62mph time of 7.3 seconds. It's a very impressive unit that's happy to be revved and delivers plenty of pace from low down, so doesn't always need to be worked hard to tap into the power. 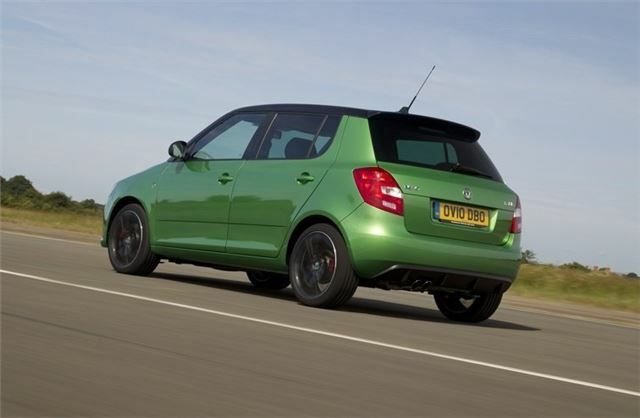 Unusually, it doesn't come with a manual gearbox though - instead it has a seven-speed DQ200 DSG twin-clutch transmission as standard that comes complete with steering wheel-mounted paddleshifts. 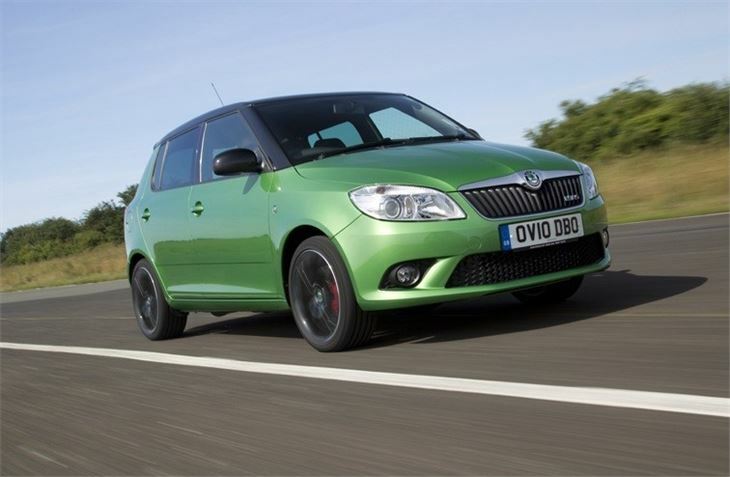 Available as both a five-door hatchback and - for the first time - as an estate, the Skoda Fabia vRS certainly looks the part from the outside with understated but sporty styling, plus there's plenty of scope for personalisation with different coloured roofs, door mirrors and alloy wheels. It's quite disappointing that the interior is so drab, it doesn't have many of the sporting touches you'd expect in a hot hatch like this. It's a very civilised car though, with a smooth ride on all but the roughest road surfaces while at motorway speeds it's quiet and refined. Other hot hatches may be more driver-focussed, but the vRS is still keen and agile in corners, helped by good feel through the steering and well controlled body roll. 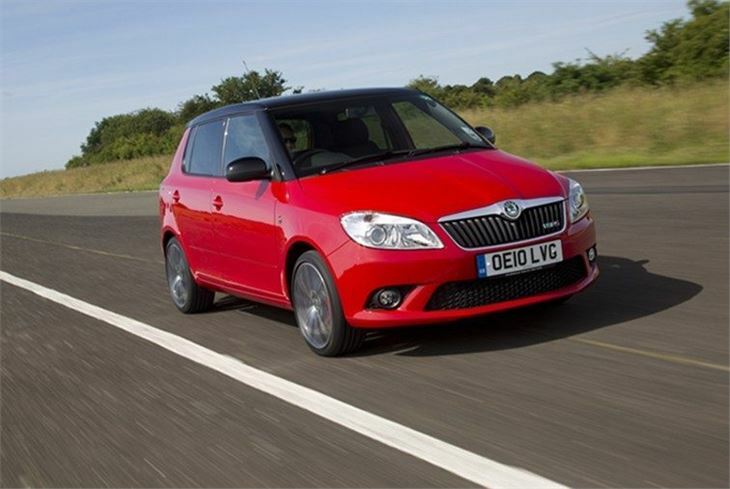 But perhaps the biggest selling point for the Fabia vRS is the high level of standard equipment you get along with impressive average fuel economy of more than 45mpg.